I have just placed my order on your website. Has the writer started working on it? If you have already paid for it, we immediately start looking for the writer. When the writer is found, you will see the status bar “Writer Assigned” in your control panel. What will be the price of my order? Use our convenient calculator on the Homepage to quickly calculate the price of your order. You will see the total price of your order on the last step of the order form. It will depend on the deadline, the academic level, the type of work, and the extras that you can add to your order in the order form, in the Control Panel on the order page, or ask our Customer Support Representative. More information about our extras is available on our Prices page. How many pages will there be in my order? See more info about the prices for our single-spaced and double-spaced pages on the Prices page. The paper of your order with us can be both single-spaced or double-spaced upon your request. You can choose each of the formats in the order form while placing your order. Single-spaced usually contains 550 words and double-spaced – 275 words. You choose the deadline on your own. The shortest possible deadline is 3 hours, but the number of pages cannot exceed more than three. The writer will start to work on your order right after you make a payment. But take into account that the initial deadline you choose is true for the very first draft of your paper. If you need a revision (first three revisions are available for you for free), you will have to choose another deadline. Please, take into account this when you place your order. What types of work do you write? We can easily prepare various types of works for you, including academic, individual, business, and webwriting. If you need to complete any specific type of work, you can place an inquiry and our managers will let you know if there’s an available writer at the moment to do the task for you. What if I don’t like the paper you write? If it happens so that you would like to make any changes in the work after it has been written, you can ask for up to 3 free revisions. However, please make sure that your new comments do not contradict the initial instructions you have specified in your order. Can you guarantee the safety of my information? Can I trust pre-paid services such as yours? Honesty is a basis of our cooperation with you. So we can answer the question 'Is Myadmissionsessay Safe' with a confidently positive answer. We are already trusted by thousands of satisfied clients and each of them was in your shoes trying to decide whether trust us writing the first paper or not. Furthermore, we guarantee you totally secure payment process. We will need only your name, phone number, address, and the last four digits of your credit card. Although we guarantee you complete safety at Myadmissionsessay.com scam sites are there on the Internet and be very careful which one you choose. Authorization is a Myadmissionsessay.com fraud preventing measure that helps us to be certain that the cardholder is aware of the transactions at our website. There are several types of authorization: email, phone and (in certain cases) credit card authorization. Please go through the entire authorization process because unauthorized customers can be denied our services. My authorization code is not coming, what should I do? Please be patient, your email and SMS codes will arrive shortly. If you are not receiving your codes, contact Customer Support Representatives for assistance. Can I pay you after I’ve seen my paper? Our services are pre-paid, which means that we will start working on your paper only after the payment is made. There is no reason for you to worry about your money because in case you are dissatisfied with your paper, Revision and Money Back Guarantee policies are here to protect you. Why is using your service NOT cheating? Using our service can be regarded as going to an online library designed specifically for your needs. After all, we only deliver a sample of how a perfect paper on your topic should be written so that you could learn from our professionals. Do you have a pre-written paper database? We do not store any papers custom written for our clients in any kind of a database. We write everything from scratch. We guarantee that you will be able to get your money back if you detect that your paper was pre-written. What about the formatting options in my document? Your paper will be formatted for free any way you like — in APA, MLA, Chicago/Turabian, Harvard, etc. If no requirements are given, the default formatting is: MLA, 12pt Arial, double- spaced, 1 inch margins, 275 words on a page. Do you deliver plagiarism-free papers? Once you order a document at MyAdmissionsEssay.com, you can be certain that it will be completely original. Thanks to the trusted plagiarism prevention tool WebCheck, we can guarantee that your paper will be plagiarism-free. We do not use the TurnItIn.com service because it stores all the submitted documents in a database. If you want to see proof that your paper is original then add Plagiarism Report extra to your order. See more information about this extra on the Prices page. Do you have money-guarantee options? We provide you with the money back options covered by our policy. If you think that your order requirements have not been fully met, request a free revision or cancel your paper. Read more in our Money Back Guarantee document. One of myadmissionsessay.com reliable authors will work on your paper. We employ only trusted writers with years of writing experience and deep knowledge of academic fields. Our Quality Assurance Department guarantees a high level of professionalism. You can even let us know if you would like your author to be British or American. However, writers from certain countries might not be available at all times. Also, you can hire one of our best writers – a Premium or a Standard one. More information about the preferred writers is available on the Prices page. I’d like to work with my previous writer. Is this possible? Sure! “My previous writer” option in the section “Preferred writing” of the order form allows you to do just that! You will only be asked the ID number of your author. This feature is available only for the orders of 1 day and more, and the price for these urgent assignments will be increased independently from the level of your writer. How can I reach my writer? Use the messaging system available in your personal account for that. This will allow you to be sure that your instructions have been fully understood. For security reasons, you may not share your personal information with the writer or ask him to do the same. I’d like my author to use certain materials for my paper. Just upload any files that you think will be needed for the paper completion. There is a “Files” section for every order in your personal account. We accept most popular file formats, and your documents should be no more than 20 MB. If uploading fails for one reason or another, you can always reach our Customer Support Representatives or send your files directly to support@myadmissionsessay.com remembering to mention the number of the order in the subject of your message. I’d like to receive a paper of super high quality. Is this real? Every paper ordered at MyAdmissionsEssay will be of high quality. Making it even better is possible with our “Premium writing” option in the “Preferred writing” section of the order form. Choosing it will increase the order price automatically. If I would like my questions to be answered immediately, can I become your VIP client? Select the “VIP customer service” feature in this case. All your requests will be given the highest priority, and you will be able to track the status of your order with text message notifications. This options makes it really easy for you to become our top client. Your order will become #1 as well. All for $14.99. Check out the Prices page for more. How can I obtain a plagiarism report for my essay? Ticking the box "I want to receive official Plagiarism report" is all you need to get an official report from the trusted plagiarism prevention system WebCheck. You will receive it once you approve the order. Prices for this option start from $9 for a double-spaced document. See more details on the Prices page. I’d like a high quality Abstract for my paper, please. We realize that even though writing an abstract for your paper requires a considerable level of skills from the writer, we are confident in our capacity to deliver an abstract of good quality for you. “Add an Abstract page to my paper” will inform us that you want one. The cost for this option is $14.99. Our loyal customers enjoy our discounts, our bonus program, and special offers. By placing orders, they receive bonuses, which can later be used to pay for orders. More information is available on the Prices page. What is the price of the Title and Reference pages? These pages are included in your paper automatically – for free. For instance, placing an order for a 5 page document will get you a total of 7 pages, 5 of which will be its body. How can I view the materials my writer used for my paper? Simply choose “Sources Used” on your order page in your control panel. When you purchase this extra, we will upload a soft copy of the materials your writer used while working on your order. They may be available in various formats, for example, in .doc, .docx, .pdf or as images/print screens of online sources. We will deliver them to your control panel after the work on your order has been completed. Can you add the table of contents/outline to my order? We have the “Table of Contents/Outline” optional extra for that. You can choose it in your personal account (on the order page). Can someone proofread and edit my paper? Upon your request, when the writer completed your paper, one of our professional editors can double-check it for you and edit if necessary. Just choose an Editor's check extra in your control panel and it will be added to your order. Once added, the ultimate price for your order will be calculated automatically. If you have your own paper, then you can upload it for our editor to proofread and edit it. In this case you will need to choose Editing/proofreading type of paper in the order form. How will my paper be delivered? First, you will receive an email or phone notification that your order is ready. Secondly, you will need to sign in to your personal account, see the preview version, which is a watermarked picture of your paper, and approve it. If you want us to change something in your document, you can always make use of your three free revisions before you press “Approve”. If you approve the order, you will receive an MS Word version of your document. You can easily reset your password through the corresponding option on the login page. Afterwards, check your email to restore access to your personal account. What are my options if you have missed the deadline? Customer Support Representatives will need to be notified immediately if your deadline was missed. They will tell you about the options available. Whether the deadline was missed because of the writer or because of the customer, we will need to agree on a new deadline. If the author was responsible for missing the time frame, we will recalculate the price and make a proper refund. However, if you were late to provide us with all the details about your order, we will finish working on your paper as soon as possible, but no refunds can be expected in this case. 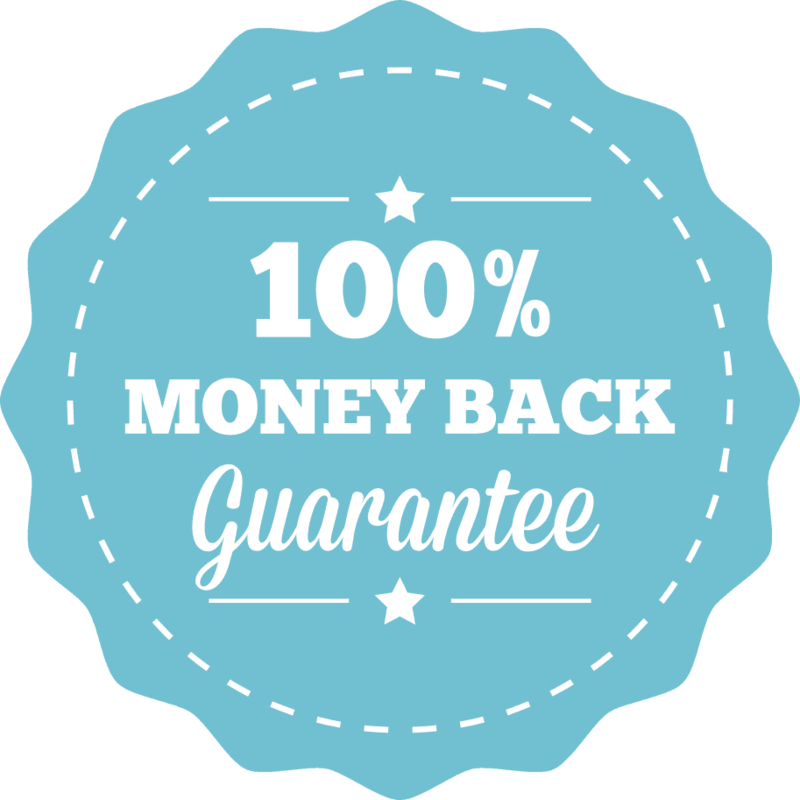 Check out the instances when you can get your money back on the Money Back Guarantee page. Can you rewrite my paper if I don’t like it? If your paper was not written according to your initial instructions, you can have it revised for free. We offer three revisions, and the instructions for them should not contradict the initial instructions. Also, no new documents will be accepted. Asking us to revise your paper is possible both before and after you approve the paper. In the latter case, however, you will have to get in touch with our Customer Support Representatives, and you have only one week to do that. Your can find additional information in our Revision Policy. By a preview we mean a picture of your document watermarked by our company that you can review and comment on, if needed. As you have the option of three free revisions, you can ask us to make changes in your paper if you find parts which do not meet your requirements. Try to be specific and mention everything that needs to be changed in just one letter. If everything is okay, and you would like to get an MS Word version of your document, just hit the “Approve” button and download the final version in a few seconds. What steps do I need to take to get my paper revised? First, locate “Send for revision” button on the order page of your personal account and click on it. Secondly, write your revision instructions in the pop up window remembering to mention a new revision deadline. Please remember that revising your paper is also possible even if the “Approve” button was pressed, but in this case Customer Support Representatives will need to be contacted within seven days.